Hydraulic parameters input for a bridge design over waterways, have been investigated from last more than 6 decades. However, 60% of the bridges in the USA fail because of hydraulic parameters. An important consideration of scour investigation studies, which has been neglected, is location of scour hole and its deepest point. Bridge design applies the assumption of maximum scour to occur under the bridge. This inaccuracy of assumption not only results in uneconomical bridge design but also affects the vulnerability of downstream structures. A study was conducted in a compound channel in The Georgia Institute of Technology, to investigate the location of scour hole and its deepest point. In the design of experiments, length of the abutment was varied over 5 different ratios to cover long, medium, and short setback abutments. All three flow conditions were modeled to include “free”, “over-topping”, and “Submerged orifice” flows. The location of the scour hole and point of deepest scour were measured at equilibrium condition. It was found that location of scour hole and its deepest point, for the lateral direction, are functions of geometric contraction ratio and back water effect. Whereas; in the flow direction, location of scour hole and point of deepest scour are function of geometric contraction ratio and shear stress. The point of deepest scour was observed to move in downstream direction with increase in shear stress. A model has been recommended to predict the location of the point of deepest scour, both in lateral and flow directions. Assistant Professor Dr. Irfan Abid (HoD, Water Resource Engineering and Management), National University of Science and Technology (NUST), Pakistan, AMASCE, MPEC, MIEP. More than 17 years of professional experience in academia, industry, and research institutes. Working as HoD Water Resource Engineering and Management and under-graduate program coordinator at National University of Science and Technology (NUST), Pakistan. 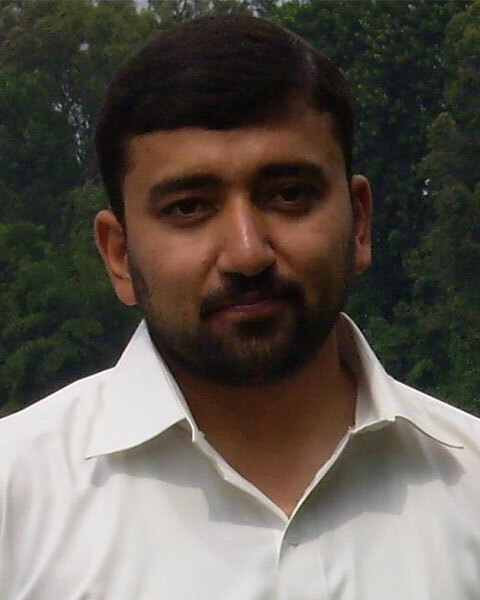 Worked as Research Assistant at the Georgia Institute of Technology, Atlanta, Georgia USA. Served in UN peace-keeping mission in the DR Congo as an engineering officer and carried out projects of construction/rehabilitation in the South Kivu province. Practical experience in road construction, bridge construction, town development, installation of optic fiber cable (OFC), and building construction in Pakistan’s premier construction company, Frontier Works Organization (FWO). BE (Civil) and MS (Water Resource Engineering and Management) from National University of Science and Technology (NUST), Pakistan. MSc (Environmental Design) from Allama Iqbal Open University (AIOU), Pakistan. MS (Civil, Hydraulics and Water Resources) and PhD (Civil, Hydraulics and Fluid Mechanics) from the Georgia Institute of Technology, USA. Bio: Assistant Professor Dr. Irfan Abid (HoD, Water Resource Engineering and Management), National University of Science and Technology (NUST), Pakistan, AMASCE, MPEC, MIEP. More than 17 years of professional experience in academia, industry, and research institutes. Working as HoD Water Resource Engineering and Management and under-graduate program coordinator at National University of Science and Technology (NUST), Pakistan. Worked as Research Assistant at the Georgia Institute of Technology, Atlanta, Georgia USA. Served in UN peace-keeping mission in the DR Congo as an engineering officer and carried out projects of construction/rehabilitation in the South Kivu province. Practical experience in road construction, bridge construction, town development, installation of optic fiber cable (OFC), and building construction in Pakistan’s premier construction company, Frontier Works Organization (FWO). BE (Civil) and MS (Water Resource Engineering and Management) from National University of Science and Technology (NUST), Pakistan. MSc (Environmental Design) from Allama Iqbal Open University (AIOU), Pakistan. MS (Civil, Hydraulics and Water Resources) and PhD (Civil, Hydraulics and Fluid Mechanics) from the Georgia Institute of Technology, USA.